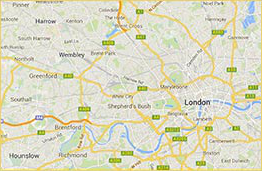 Since 2005, the Maida Vale area of London has been expertly taken care of by our team of highly professional plumbers. 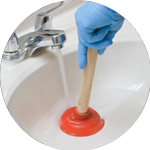 They have undertaken a wide variety of tasks, giving them the undisputed title as the best London Plumbing service available. Our team have an unrivalled level of knowledge and expertise, which means even the most technical and time-consuming of jobs can be completed within a suitable time-frame. 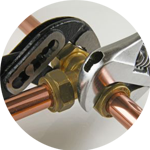 We can guarantee that any job will be done with the upmost level of care and precision. Your Plumber in Maida Vale will be able to assist with a wide selection of tasks, which includes: toilet installations, changing a tap washer, and anything related to white goods appliances. Maida Vale is an affluent residential district which comprises parts of Paddington, St John’s Wood and Kilburn. The area is home to some of BBC network radio’s recording and broadcast studios. 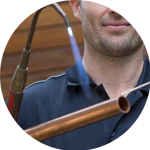 The Handy Squad offers a wide selection of outstanding trade services other than Plumbing in Maida Vale. 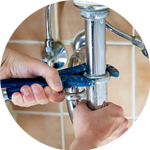 We also have a Handyman in Maida Vale, to assist with any general DIY tasks and maintenance. They are passionate about their job and always strive to go the extra mile with any task they are undertaking. Our Handymen in Maida Vale will be able offer a variety of trade services, including: flat pack furniture assembly, hanging curtains up and odd jobs services. Electrical jobs also need to be taken care of by efficient and reliable individuals. This is why the Handy Squad has always ensured that a large number of qualified electricians are available in Maida Vale. Your Electrician in Maida Vale will be able to offer assistance with things like: fault finding and repairs, changing light bulbs and replacing switches.